work handed over to 222 Field Coy RE, 33 Div on the 5th. Work on Haalen switch continued by Nos 1 & 2 Sections. Nos 2,3,4,5 Posts each proceeded with 4 Splinter proofs for 4 men. - Nos 4 & 5 Posts partially dug. - Work handed over on the 4th to 222 Fd Coy RE. Observation Post for Artillery commenced in Passchendaele but slow progress owing to lack of materials. - During this period 1 N.C.O attached to Bde in line to supervise using of Abraham Heights Switch. About 1/2 of these were completed. 5 January: Maj Mcqueen returned from leave taking over command from Capt Baker MC. Dismounted Section moved by bus from Ypres to Eecke (4 mile S of Steenvoorde), mounted Section proceeding by march route. 6 - 15 January 1918: During this period certain training (drills, route march, reconnaissance lectures). Then carried out with No 3 Section (returned from hutting under C.E VIII Corps at Bailleul on 9th). No 4 Section and about 1/2 of No 1 Section -- RE HQ remained at Ypres as Steenvoorde was badly off for repairs, camp and billets sanitation necessities, it was necessary to arrange for supply of RE stores from Corps Dump, Oakhanger (near Poperinghe), and also to carry out repairs to minor works in Div area. - For this purpose No 2 Section (Lt Rebbeck M.C) was moved to Steenvorde on 8th, returning to Eecke on 14th. - Various work carried out included section of 16 Nissen huts for 176 Siege Battery R.G.A. in Steenvoorde, repairs to baths in Steenvoorde and Winnizeele, fixing missing points boards, erection of Nissens for Commandant Eecke, 2 Nissens huts for the commandant Winnizeele, marking shell holes for wiring practices for 151 Bde, supply of RE material and target material to Div. Hard frost throughout this period. Ypres- 15-21 January 1918: Coy returned to Ypres on 15th. (dismounted Sections and Coy HQ by train to Poperinghe and march route, Mounted Section by march route in relief of 446 Field Coy RE who rejoined Div in Steenvoorde area on 17th. On 17th, Coy commenced work on Army Battle Zone, Corps line East of Ypres the work consisted of cutting drains to all links of trenches joining Low Farm Keep, Plum Keep, Vampire Keep, Square Farm Keep, Posts 1 to 15. - For this purpose, working parties averaging 250 - 400 were attached About 1800 yds of drains of the middle Section 8' wide at top and 1' at bottom, 3'6" deep with 2'6" berms. Work continued on 17th,18th,19th,20th during which period about 1150 yds of such drains were completed, remaining drains traced. 200 yds of tramway formation made and various works such as marking gaps in wire etc. 22-28 January 1918: On 20th orders received for Mounted Sections to proceed by march route in 3 stages to Wizernes (in Tilques area). Coy HQ and dismounted Section by train on 21st. On arrival in Wizernes Nos 1 and 4 Sections were despatched on 21st to work on VIII Corps Musketery School at Noritersecourt (hutting etc) rejoining Coy HQ at Wizernes on the 27th. 1-2 February 1918: Sections employed as follows No 1 (Lt Pottle) Duckboard track connection from D.11.b.4.3 to D.11.d.8.9. No 2 (Lt Keyworth-Davis) Haalen Switch Posts. No 3 (Lt Baldwin) Artillery O.P. in Passchendaele (D.6.d.40.87) and maintenance of K and Crest Farm tracks. No 4 (Lt Flattery) Coy HQ at Passchendaele (D.6.d.3.3) and maintenance of H track & K track on rear of Panet Road. 3 February 1918: On February 3rd No 2 Section had one casualty, Spr Goodwin wounded. No 4 Section commenced work on Powder Magazine, Ypres. Adapting same for use as Main Corps Dressing Station. No 1 Section completed connection between Crest Farm and Heine House Tracks. 8 February 1918: Handed over works to 446 Field Coy RE. and took over sector on right, the new work lying in the area enclosed by the Broodseinde - Passchendaele road, the Zonnebeke - Broodseinde Road and the Ypres - Roulers railway. Distribution of Sections, No 1 remained at Crest Farm, No2 employed on Reserve and Support Line Posts. No 3 started work on a ferro - concrete T.M emplacement at P.17.c.3.8. for two 6" T.Ms. No 4 remained on Corps Dressing Station, Ypres. 9 February 1918: Capt Baker left to attend Company commanders course at the RE School, Blendecques. Lt Baldwin took over temporary command of the Company. 10 February 1918: Lt Haywood-Davis RE. was transferred to 351st E&M Coy RE. 11-18 February 1918: No 1 Section returned from Crest Farm and relieved No 4 at Corps Dressing Station on 12/2/18. No 4 commenced work on Duckboard tracks from Daring Crossing D.16.d.7.2. - D.23.a.4.7 and Alma D.22.a.4.6.- Zonnebeke Track at D.22.c.9.7. These tracks were completed by the 16/2/18. Lt H.A.Benson RE arrived as a reinforcement and took over command of No 4 Section commenced work on Reserve Line Posts. 19-22 February 1918: Work was continued up to 22nd when all uncompleted work were handed over to 212 Field Coy RE. of the 33rd Division. The Corps Dressing Station at Ypres was completed on this date. On the 21st the Coy transport less 1 GS wagon, 1 water cart and riders proceeded by road to rest area, attached to transport of the 149 Inf Brigade. 23 February 1918: Dismounted personnel and remaining horse transport were attached to 149th Bde group for move. am. Dismounted personnel entrained at Brandhoek at 10.50am. 1 GS wagon 1 water cart and 6 riders entrained at Vlamertinghe at 12.50pm. Blankets etc came direct by lorry under Brigade arrangements from Ypres to Cormette in rest area. pm. 7 Field Company detrained at Wizernes and marched to Cormette. Q.54.c (SH 27 SE) Horse transport arriving by road, arrived the same day. 11/2/18 No 24914 Cpl J Bates Mentioned in Dispatches. Authority London Gazette. The Third Battle of the Aisne, 27 May - 6 June 1918. In this Battle, 7 Field Company RE, had a large part of the Company taken prisoner. Whilst the first two battles of the Aisne were conducted by Allied forces, predominantly French, against the German army in France, the Third Battle of Aisne, from 27 May-6 June 1918, comprised the final large-scale German attempt to win the war before the arrival of the U.S. Army in France, and followed the Lys Offensive in Flanders. The focus of the offensive was the Chemin des Dames Ridge, held by the Germans upon their retreat from the Marne in September 1914 until their ejection, at huge cost to the French, during the Nivelle Offensive, also known as the, Second Battle of the Aisne in April 1917. Erich Ludendorff although subservient to Paul von Hindenburg within the German Third Supreme Command, effectively dictated the planning and execution of the German war effort. He determined to reclaim the Chemin des Dames Ridge from the French with the launch of a massed concentrated surprise attack. In so doing he anticipated that the French would divert forces from Flanders to the Aisne, leaving him to renew his offensive further north, where he believed the war could be won. At the time of the offensive the front line of the Chemin des Dames was held by four divisions of the British IX Corps, ironically sent from Flanders in early May in order to recuperate. General Duchene, commander of the French Sixth Army, was responsible for the continued defence of the sector, and Lieutenant-General Sir Alexander Hamilton Gordon, commander of IX Corps, was required to place himself under Duchene's direction. Thus, when Duchene decided to send the British divisions to the front line, Hamilton Gordon, although reluctant to see his fatigued troops further exposed, was obliged to dispatch his men forward. He however recommended to Duchene that a policy of defence in depth be adopted for the eventuality of an attack. Duchene disagreed, preferring to mass troops in front-line trenches. 1-8 March 1918: At the beginning of the month the Company was distributed as follows: 2 & 3 Sections working at Fifth Army Musketry School, Norbicourt. 1 and 4 Sections at Headquarters in training at Cormette. On the 7/3/1918, Nos 2 & 3 Sections were relieved at Norbicourt by Sections 1 & 4 rejoining Headquarters on the same day. 9 March 1918: 7 Field Coy moved, entraining at St Omer at 12 noon. 16-21 March 1918: Moved by bus from Fresnoy en Chaussee to Monchy Lagache. Here the Coy was employed on the defences of the neighbourhood of Tertry. 22-23 March 1918: on the 22nd, Sections 2 & 3 moved up to Tertry for work,the O.C., Major H.A Baker accompanying them. They were to be employed here on defences under 149th Infantry Brigade. At 3pm work was commenced on Battle trenches north east of Caulaincourt. The work was completed by 5pm, and the half Company withdrew to Caulaincourt where they received orders to hold the village against a threatened attack by enemy cavalry. At 6.15pm the enemy infantry attacked, in waves from the north east, and by skirmishes through Lake Wood to the east of the village. At 6.25 pm the troops holding the line on the right of the half Company gave way, followed by those on the north of the village. The half Company, together with such infantry as were in the village, then withdrew following a party of the 4th Northumberland Fusiliers and retired along the road, leading north west out of Caulaincourt. Enemy snipers entered the village and caused several casualties the half Company lost 2nd Lt H.A.Benson wounded and five other ranks. The two Sections reformed at Tertry under Major Baker and acting under instructions from 149 Bde, dug in and held a series of posts on the bank of the river Omignon, east of Tertry, where they remained until 2.45 am having received orders from the Brigade at 2 am to bring up the rear of the 5th Northumberland Fusiliers and act as a Flank guard as far as Meraucourt, after which the two sections were ordered to rejoin the rest of the Company at Mons en Chaussee. During this time the O.C. disposed the infantry in the new line in front of Monchy Lagache and Douvieux. The half Company left at Monchy Lagache on morning of 22nd remained there until orders arrived from Major Baker to move to the neighbourhood of Mons en Chaussee at once. Transport and 1 & 3 Sections moved off at about 9. pm and reached Mons en Chaussee where they remained in bivouac for the night. Part of No 3 Section joined in the early morning, but the main body of the two forward sections did not reach the Company before it moved off again. The 50th Division was relieved on the Passchendaele sector by the 23 Division on the 23rd February, and moved to the Wizernes area south of St. Omer where it formed part of G.H.Q. Reserve. Two sections of the 7th Company were detached on 1st March for work on the 5th Army Musketry School at Nortbecourt. On the 10th March the Division moved to the area about Moreuil on the River Avre, 12 miles south west of Amiens. The 7th Company entrained at St. Omer at noon, detrained at Moreuil at 1. Am on the 11th and marched to Fresnoy-en-Chausee, where it remained till the 16th, when it moved by bus to Monchy Lagache (24 mile) for work under the C.R.E. XIX Corps Troops, with working parties of Italians on the ‘’Green Line’’ defences in the neighbourhood of Tetry. This was the most retired reserve line in the 5th Army area and was only partially excavated and wired. The Company was so employed until the 21st of March when the 50th Division was moved hurriedly up to occupy these defences which formed part of the Perrone Bridgehead. arriving about 1pm. Period 11th -15th employed on Company training. a guide was left to bring on such of Sections 2 & 3 as had not rejoined. The Company reached Villers Carbonnel about 1.30 pm and remained until 4.30 pm. While at this place enemy aeroplanes came over and used their machine guns upon the troops in the neighbourhood. They were fired upon and two brought down. One driver in the 7 Field Coy was wounded. 24 March 1918: The Company then marched to the neighbourhood of Berny en Santerre arriving about 6 pm. At 10 pm orders arrived from C.R.E and the Company marched to Foucaucourt arriving at 2 am. 25 March 1918: On the afternoon of the 25th the Company was employed on clearing the road running north out of the Estrees Foucaucourt road to Fay and bridging trenches cut across the roads. At 9.30 pm the HQ Transport was moved back to Harbonnieres, the section transport been left to wait for the dismounted sections at Foucaucourt. The 1918 Spring Offensive or Kaiserschlacht (Kaiser's Battle), also known as the Ludendorff Offensive, was a series of German attacks along the Western Front during the First World War, beginning on 21 March 1918, which marked the deepest advances by either side since 1914. The Germans had realised that their only remaining chance of victory was to defeat the Allies before the overwhelming human and matériel resources of the United States could be fully deployed. They also had the temporary advantage in numbers afforded by the nearly 50 divisions freed by the Russian surrender (the Treaty of Brest-Litovsk). There were five German offensives, codenamed Michael, Georgette, Blücher-Yorck, Gneisenau and Marne-Reims. Michael was the main attack, which was intended to break through the Allied lines, out flank the British forces which held the front from the Somme River to the English Channel and defeat the British Army. Once this was achieved, it was hoped that the French would seek armistice terms. The other offensives were subsidiary to Michael and were designed to divert Allied forces from the main offensive on the Somme. No clear objective was established before the start of the offensives and once the operations were underway, the targets of the attacks were constantly changed according to the battlefield (tactical) situation. The Allies concentrated their main forces in the essential areas (the approaches to the Channel Ports and the rail junction of Amiens), while leaving strategically worthless ground, devastated by years of combat, lightly defended. The Germans were unable to move supplies and reinforcements fast enough to maintain their advance. The fast-moving storm troopers leading the attack could not carry enough food and ammunition to sustain themselves for long and all the German offensives petered out, in part through lack of supplies. By late April 1918, the danger of a German breakthrough had passed. The German Army had suffered heavy casualties and now occupied ground of dubious value which would prove impossible to hold with such depleted units. In August 1918, the Allies began a counter-offensive with the support of 1–2 million fresh American troops and using new artillery techniques and operational methods. This Hundred Days Offensive resulted in the Germans retreating or being driven from all of the ground taken in the Spring Offensive, the collapse of the Hindenburg Line and the capitulation of the German Empire that November. 7 Field Company serving in the 50th Division was involved in the first three of the five,1918 Spring Offensive Attacks - see map below. 26 March 1918: These sections on completion of the work on roads held Fay until 12 midnight, without being attacked and then moved back and commenced work on a defence line running in front of Vauvillers and Rosieres-en-Santerre, the Company being employed on a stretch 800 yards long on either side of the Harbonnieres - Lihons road. pm: Work was completed and the Company moved off at 3pm to a farm south of Vauvillers and there received orders to hold Vauvillers against a possible attack from the direction of Framerville. Remained here until 6 pm and then marched to Wiencourt where they passed the night. The HQ Transport moved from Harbonnieres at 4 pm for Aubercourt. 28 March 1918: trenches until 4 am of the 28th when they received orders to fade away. They then marched to a position slightly to the north of Caix west of the Caix- Harbonnieres Road. This position was occupied from 7 am - 4 pm and the Company was then withdrawn, loosing 10 O.Rs in withdrawing, and were sent by C.R.E to Beaucourt. HQ Transport remained at Aubercourt until 2 pm the 28th and then marched to Beaucourt, having picked up the section transport before leaving. At Beaucourt an open order was received ordering all transport back behind the Boves - Moreuil Line, and the transport marched for Moreuil in company with the 447th Field Coy transport. At Moreuil orders were received from C.R.E for transport to meet dismounted sections at Castel. Boves. pm. Dismounted sections stood by at Castel for work until 6 pm when they rejoined transport at Boves. 30 March 1918: The whole Company left Boves at 10.15 am and marched to Sains-en-Amienios. Small parties of sappers were detailed during the afternoon to keep part of the Boves-Sains road open and the traffic moving. 31 March 1918: Company received orders to move with 149 Inf Brigade Group. Transport went by road to Bourdon. Dismounted personnel proceeded to Saleux to entrain for Rue. 2 April 1918: billeted. Transport arrived at Ponches having marched by road. companies, one company being placed under the O.C. 7 Field Company and one company under the O.C. 447 Field Company. The left wing under Major Chivers was at once marched north-east through Harbonnieres, that under Major Baker instructed to follow. On arrival of the left wing at Harbonnieres the enemy infantry could be seen advancing in successive lines south-east from Proyat over the open country. This wing was directed to proceed up a valley, hidden from the enemy and to seize and hold a wood one mile to the north-east whose western face appeared to command the main road to Villers- Bretonneux and the whole line of the enemy’s advance. It reached its position with about 10 minutes in hand and the advanced enemy lines, checked, and lay down and remained inactive. About this time the left (7th Company) wing emerged through Harbonnieres, which was being shelled, and here Major Baker was severely wounded in the left arm and had to be evacuated, the command devolving on A./Capt Baldwin D.C.M. The platoons of this wing, under Lt Pottle, were formed up under desultory field gun fire and directed to advance in the direction of Framerviller, extending in open formation when under rifle fire, with their left flank in touch with the right of the wing under Major Chivers. At the same time a battalion of the 8th Division debouched from Bayonvillers and moved to the northern flank. The enemy, on seeing troops advancing from Harbonnieres, commenced to retire slowly over the open ground towards Proyart. The Composite Battalion advanced about 2000 yards in open order in successive lines, suffering a few casualties from machine-guns and rifle fire. About 5.pm the enemy’s fire increased, mainly from machine-guns in old trenches about 400 yards from the advance attacking troops, which, having no artillery or machine gun support, were held up about 1,000 yards south-east of Proyart. The great German attack on the 4th and 5th Armies commenced at dawn on the 21st March, as had been expected for some days. Much aided by thick mists, which just suited the new infiltration tactics of the Germans, it progressed rapidly on the thinly held front of the 5th Army. The 50th Division, forming part of the G.H.Q. reserve, was pushed up by train and march route to the neighbourhood Beaumetz and, during the night of 21st/22nd proceeded to occupy the incomplete ‘’Brown Line,’’ which was here only spitlocked 6’’ deep and thinly wired. The 7th Company was affiliated to 49th Brigade temporarily (H.Q. Tertry) with orders to keep two sections in reserve at C.R.E.s disposal. At 3.pm 2 and 3 Sections went up to assist the infantry in improving their defences in the Brown Line north-east of Caulaincourt. The enemy could already be seen advancing in the distance, but the work was completed by 5.pm, and the half Company withdrew to Caulaincourt, where they received orders from the infantry commander on the spot to hold the village against a threatened attack by enemy cavalry. At 6.15 pm the enemy infantry attacked from the north east and the east. At 6.25. the troops holding the line on the right and in the north of the village were forced back and the half-company was obliged to retire in conformity. As the Company left the village, enemy snipers entered and caused several casualties, including 2nd Lieut H.A.Benson, Serjt J. Farrer M.M., and four sappers. On arriving at Tertry they were reformed under major Baker and by order of the B.G. commanding 149th Bde, dug and held a series of posts on the bank of the River Omignon, covering the east of Tertry. Brigade H.Q. turned out every man for the defence of H.Q. but no attack developed. At 2.am on the 23rd, orders were received from Brigade to form a flank guard in rear of 5th Northumberland Fusiliers as far as Merancourt, starting at 2.45.am., after which the two sections were to join the remainder of the Company, which had proceeded to Mons-ens-Chausee with the transport earlier on the 22nd, in case they should be required for demolition of bridges over the Somme. During the night 22nd/23rd major Baker was instructed to guide the Brigade to trenches of the Green Line, unfortunately the sector they were to occupy was that next to where the Company had been working and was not complete. In this sector these defences had hardly been commenced. As the night was pitch dark it was very difficult to find anything except an old German trench which ran roughly parallel to the desired position. At 6.45.am on the 23rd, orders arrived from the C.R.E. to cross the Somme at Brie, and to proceed to Villers Carbonnel. The bridges here had been prepared for demolition and were to be demolished by the Army Troops companies who had prepared them. The O.C. rejoined the company as they were moving off and a guide was left to bring up the remaining two sections which had not yet rejoined. The Company remained at Villers Carbonnel 1.30 to 4.30.pm. Whilst at this place and surrounded by troops resting each side of the road, three enemy aeroplanes flew low over the crowded fields. One driver was hit in the leg. All troops in the neighbourhood loosed off at the aeroplanes and two of them never pulled out of their dive and were destroyed. It is perhaps, too much to claim that the 7th Company brought them down but they may have done. The Company then marched to Berny-en-Santerre arriving 6.pm. (3 mile), and had no sooner pitched its bivouacs than it was ordered to move again to Foucaucourt (5 m) where it was employed during the 25th in improving communications in the neighbourhood of Fay and Estrees and and bridging trenches to facilitate passage of transport and gun limbers. The composite battalion was thus about 500 strong, organised in two similar wings, each wing consisting of an engineer company (about 80 rifles) and an infantry company (about 160 rifles) with a small improvised headquarters section of cyclist and runners. The ‘’Battalion’’ left Wiencourt at 7.am., with instructions to take up a position to the right flank and rear of the reduced 149th Brigade, then holding the southern portion of the Vauvillers- Rosieres ‘’line’’, an enemy attack through Rosieres being anticipated. The right wing, under Major Baker, took up a position immediately north -east of Rosieres, covering the exits from that village, the left wing under Major Chivers being held in reserve in the railway cutting one mile in the rear. No attack developed on this flank and about 12 noon orders were received for the Battalion to be withdrawn rapidly to co-operate with two battalions of the 8th Division in a counter-attack on the village of Proyat, from a line Bayonvillers-Harbonnvieres. As dusk was falling and a good position for maintenance against counter-attack, namely an old trench system running north and south across the German line of advance, had been reached, the Composite Battalion was disposed in these trenches with a view to holding the ground already gained. The 7th Company was on the right and in touch with troops in the neighbourhood of Framerville. At this time Major Chivers, commanding the left wing, was severely wounded by machine-gun bullets at close range. The enemy’s advance south of the Somme appeared to have been checked, with prospect of a successful defence being put up through the night and the following day. It was believed that the gap of 1.½ miles between the River Somme and the main Villers - Bretonneux road was filled with troops of another division. The situation on the immediate front of the Composite Battalion was reported to advanced Div.H.Q. At Harbonnieres as being favourable and a party sent back for more ammunition and rations. During the night the G.O.C. 5oth Division visited the position and expressed his satisfaction with the manner in which the field companies and infantry details had operated during the day and commented on the good disposition and general alertness of the engineer outposts and sentry groups. At 4.20 am, however, the G.SO.2, 50th Division arrived with information that the enemy had succeeded during the night in passing between the river Somme and the Northern flank of the Composite Battalion and troops on its left, and was now advancing in strength on Bayonvillers from the direction of Morcourt, and the northern flanking troops were already being withdrawn. The C.R.E. was further directed to withdraw the Composite Battalion at once, before daylight, if possible, behind Harbonnieres and thence to retire southwards Caix, to which place the remainder of the 50th Division was also being withdrawn. As dawn was then breaking no time was to be lost in crossing the 1.½ miles of open ground to Harbonnieres if heavy casualties were to be avoided. Withdrawal was effected in an orderly manner from the left and without casualties. The German scouts followed close after, one being captured. The troops on the right of the 7th Company were not so fortunate and lost heavily in their retirement across the open. The sections and platoons of the Composite Battalion as a consequence entered Harbonnieres somewhat mixed up and not in regular formation. The officers with the leading platoons commenced to reform their commands as previously ordered under cover of the village when G.S.O.1 (in the absence of the C.R.E. who had not yet reached Harbonnieres) ordered the retirement to be continued at once to Caix (2.½ miles to the south) without first reforming. As the 50th Division troops from Vauvillers was also now retiring along this road. The infantry details of the Composite Battalion became merged with them and not readily distinguishable owing to identity of units, with the result that it was only possible, on reaching Caix, to extricate the field companies (7th and 447th) and portions of the infantry platoons. D.H.Q’s intention was that the Composite Battalion should, on reaching Caix, reform and advance again 1.½ miles northwards and take up a position covering the exits of Guillaucourt. This was now recognised to be impracticable in the time available. It was therefore, decided that the infantry details should rejoin their units forming part of the composite infantry brigade already assembled under Brigadier Liddell D.S.O., with whom the C.R.E. and two field companies, together with the 7th D.L.I. Pioneers were directed to co-operate on holding the rising ground on the north bank of the River de Luce covering the village of Caix. Certain French territorial details were on the right flank of the composite infantry brigade, the 7th and 447th field companies on its left, with the 7th D.L.I. on the outer left flank. The transport of the engineer companies having to retire during the night from Wiencourt, through Marcel Cave on Aubercourt, the sappers were without any form of entrenching tool, but managed in the absence of any natural cover to make small rifle pits with their bayonets. A narrow valley crossed the front of the position with small woods on the far side. It was not possible to deny these woods to the enemy who occupied them about 2. pm, but remained inactive except for desultory fire from light trench mortars till about 3.30.pm, when effective machine-gun fire was opened. By the same hour enemy machine-gun detachments (well handled as usual) had succeeded in working well round the left flank of the 7th D.L.I. and in enfilading the whole position from the wooded high ground south-west of Guillaucourt. The withdrawal of the Composite Brigade through Caix and across the River de Luce was ordered. This entailed retiring over some 200 yards under machine-gun and rifle fire at close range, the 7th Company suffering about 12 casualties in the operation- casualties which appeared few under the circumstances. Amongst those Serjt P. Cheal M.M. who was severely wounded. This N.C.O. had performed consistently good and gallant work since coming out with the Company in August, 1914. On the Composite Brigade taking up a fresh position south of the River de Luce the two field companies were direct to rejoin their first line transport at Beaucourt south west of Caix, with a view to resuming their normal engineer duties. Owing to the enemy’s continued outflanking movements from the north, the Composite Brigade (representing the whole of the remaining strength of the Division) was retired through Beaucourt the same evening (28th/29th) and thence northwest across the River de Luce at Domart to take up a strong position about Gentelles, facing east. The field companies were consequently directed to Castel on the River Avre during the night 28th/29th, and to Boves on the evening of the 29th, where an engineer reconnaissance of bridges and crossings over the River Avre was made as a precautionary measure. The Division was in action on the 29th on the Gentelles position- the last position covering Amiens, about six miles distant. On this day reinforcements arrived to secure the flanks,and the enemy, faced at last with the necessity of frontal attack and suffering doubtless from fatigue, confusion and shortness of supplies, was unable to make any further progress. On the 30th the Division was relieved and withdrawn over the River Avre after nine days of continuous open fighting with isolated or insecure flanks. Its casualties during this period were very heavy. The 7th Company marched to Sains-en-Amienois (4 mile) on the 30th and to Saleux (6 mile) on the 31st entrainment to Rue, whence it marched on the 1st April to billets at Ponches, near Crecy, and remained there four days. The Company’s casualties during the nine days (21st to 29th March) amounted to 21, namely 4 O.R.s killed, 2 officers and 15 O.R.s wounded.The latter included 3 section Serjeants A. Farrer M.M., F. Wadkinson, P.Cheale M.M. A./Capt H.A.Baker M.C. severely wounded on the 27th, had served with the Company since the autumn 1915. He was succeeded by A./Capt W.F. Baldwin D.C.M., Croix de Guerre, who had joined the Company in January 1916. Lieut F.J. Slattery became A./Captain. at 149th Inf Bde. Troops returned fire including 7 Coy. Two aircraft were shot down. Driver R. White was shot in the leg. b. Transport by road staging tonight (3/4 April) in Willeman. Transport to start as soon after receipt of order as possible. Transport moved off at 8.45.pm. 9 April 1918: At 8.30 am received orders from 149 Bde to standby ready to move at one hours notice, this was confirmed by a note to the same effect from C.R.Es adjutant received at 8.45 am. At 9.20 am orders arrived from 149 Inf Bde to move and concentrate at L.26.d (sht 36A) south of the Merville - Estaires road. On arrival at rendezvous word was received from C.R.E. That Brigade movement order should have not included this unit, and instructing me to billet at the point of concentration if billets were available and if not to move to Neuf Berquin. Nearest billets were at Rue Provost L.8.d (sht 36A) where the Company remained for the night. The HQ Transport spent the night at Pont Rondin, about midway between Neuf Berquin and Vieux Berquin. 10 April 1918: Despatched one section by C.R.Es orders to Vieux Berquin to unload and park the pontoons and bridging equipment of the Divisional C.R.E. At 3.30.pm orders arrived from the C.R.E. for the Company to move up to site and dig a line of posts running north east from in front of Neuf Berquin. Digging commenced at 7.30 pm and continued until 11 pm on a line some three thousand five hundred yards long, running in a north easterly direction from the Courant de la Meteran Becque almost due east of Neuf Berquin. This line consisted of a system of twenty four platoon posts dug as far as possible in ploughed land for concealment. Company billeted for the night in adjacent farms. 11 April 1918: Work was resumed at 5.30 am. At 8 am a platoon of the 7th D.L.I (pioneers) was received to reinforce the working party. At 9.30 am, infantry fell back on our left and would not halt on the line. The sergeant who attempted to stop them failed to ascertain their unit. The situation being very obscure, I thought well to man such posts as I could with forces at my disposal. With the pioneers and sappers I occupied the twelve posts on the right, continuing to work on the same. Reported situation as far as known to C.R.E. and 149 Inf Bde. About 10.30 am, infantry from various units from the 29th and 40th Divisions and the Fifthteenth Corps Entrenching Battalion arrived to man the line. I discovered at this time that the 29th Division had some posts dug about 300 yards in rear of my left flank, so while the infantry were occupying the line we had been working and employed sappers and pioneers on a switch line connecting our right flank with the left of the posts of the 29th Division. The infantry from the 29th and 40th Divisions and the XV Corps Entrenching Battalion were withdrawn at about 1.pm. Received word from C.R.E that Division believed there were plenty of troops in front and we were to remain while we could do useful work. At 2.pm a half Company of RE of the 29th Div armed for digging. I showed them what had already been done and their officer agreed to inform C.R.E 29th Div, in order to allow of continuity of work, as their sector was the left half of that I had been working on. Visited 149 and 150 Inf Bde HQ to see if any definate work was wanted and was informed that the sector I was employed on had been taken over by 29th Division. Returning to the works I found right hand posts manned by infantry with machine guns in action behind them. Withdrew sappers towards Douliez at 2.30. Met C.R.E of 29th Div on road and learned that he had men working on the same posts that we had traced and started. Received orders from C.R.E. to go back to Pont Rondin where HQ Transport had been left. The transport had moved back to Vieux Berquin owing to shelling, leaving guides. Billeted remainder of company at Verte Rue near Vieux Berquin. At 11 pm Capt Smith O.C. of 447 Field Coy RE called to say he had received orders to transmit to other field companies to send transport back on to the La Motte - Hazbrouck road while the sappers were to withdraw fighting with infantry. I did not myself see the written order. Shifted the Company to a point near Lamotte with the 447 Field Coy, as there were no infantry about to attach the Company to, and the point billeted at was in good position for observing and holding the two roads that converge on Lamotte. 12 April 1918: Received instructions from C.R.E. to take up a line on the southern edge of the Boi d' Aval to the east of Cau Descure, hold this line as long as possible and if forced to, to retire fighting northwards through the wood. We arrived in position about 10.45 am but the situation appeared to have cleared, as the infantry had a line and were in touch well in front of us. Those of the 150 Brigade, fell back behind the houses in front of us about 6.30.pm and went forward again. They came back again about 8.30.pm to the wood and proceeded to move back through it. At 8.45 pm I received orders from the C.R.E to withdraw. As our line of retirement was up a perfectly straight glade that could be shot up for nearly a thousand yards from the farms in front (south of the wood) I thought it advisable to hold them until the remainder of the Company should have cleared the glade. The section posted here met troops of the incoming 5th Division before being recalled. 13 April 1918: Company moved from Lamotte to Le Parc to work for the 5th Division. Commenced work on line running from Haverskerque to Le Parc in front of these two villages. The 230th A.T. Coy RE and the pioneers of the 5th Division were also employed here. Ceased work at 8.pm upon direct orders from C.R.E. By this Company, six platoon posts were dug to a depth of three feet south of Le Parc and 1300 yards of single apron fence run out north and east of Haverskerque. 14-17 April 1918: 7th Field Coy RE worked with the 149 Inf Bde on a line running from the Canal De La Nieppe south of Lamotte, round the eastern edge of Bois Des Vaches and then across to the woods to the south. Owing to the marshy nature of the ground, the work was principally breastworks and correspondingly slow. A double belt of double apron fence was run out along the whole sector before the Brigade moved out, and in addition a fairly continuous front line, an incomplete series of posts as supports and a line of fairly good posts as reserve were left. 19 April 1918: Training commenced, special attention being paid to cleanliness and smartness on parade. 20 April 1918: The Company was inspected by Major General Jackson DSO. G.O.C. 50th Div. 21st April 1918: The Company was obliged to move to Blessy to make room for the 149 Inf Bde reinforcements. on 23rd a warning order was received to effect that two Field Companies RE and 7th D.L.I. Pioneers had been lent to 5th Division for work. This was cancelled by a later order warning the Division to be be prepared to move to another part of the front on the 25th. 27 April 1918: On the night of the 26th the Company moved to Pernes, the entraining station, dismounted personnel by transport by road. Entrained 4.30 am 27th. Detrained at Fere en Tardenois at 3.pm and marched to Coulonges. construction consisted of 24 platoon posts disposed in echelon and constructed, as far as possible,with a view to concealment, on a frontage of 3,500 yards. Digging commenced at 7.30. am on the 10th, continued till 11. pm, was resumed (with a weak company of 7th D.L.I. Pioneers) at 5.30 am on the 11th and completed about 9.30 am. The situation being uncertain, it occupied a number of these posts pending the arrival of the infantry. At 10.30 am the infantry of the 29th and 40th Divisions arrived to man part of the line, the remainder being occupied at 2.30 pm by infantry of the 149th and 150th Brigades in the course of their retirement. The 7th Company was then withdrawn towards Douriez and was directed later to rejoin its transport at Vieux Berquin. During the night it was moved to 1 mile west of La Motte in the Foret de Nieppe. The Company incurred no casualties during operations on the Lys. A notable incident in the doings of the other field companies in the Division was the demolition of a bridge over the River Lys at the west end of Merville by a section of the 446th Company when Lt Williams, M.C., blew up the bridge as it was being rushed from the neighbouring houses by an enemy machine gun detachment which was blown up on the bridge. A few moments after, Lieut Williams himself was himself killed by a bullet. Early on the 12th the Company received orders to organise and construct defences on the eastern skirts of Bois d’ Aval (Foret de Nieppe) preparing semi breast-work posts, clearing glades for fire purposes, and making wire obstacles. These defences were manned in the evening of the 12th by infantry of the 5th Division in relief of the 50th Division, which had again been greatly reduced in strength during the previous days of severe continuous and successful fighting. On the 13th Company headquarters and transport from near La Motte (heavily shelled on the 12th) to Le Parc, and from the 12th to the 17th carried out carried out similar defence works between Haverskerque and Le Parc under the orders of the C.R.E., 5th Division. On the 18th the Company marched to Glomenghem (8 mile) near Aire and were inspected there by the G.O.C. 50th Division (T./Maj-Gen H.C. Jackson. D.S.O.). Moving on the 21st to Blessy (5 mile), the Company entrained early on the 27th at Pernes for the south. Photo courtesy IWM. Photo title: The Battle of the Lys, April 1918. 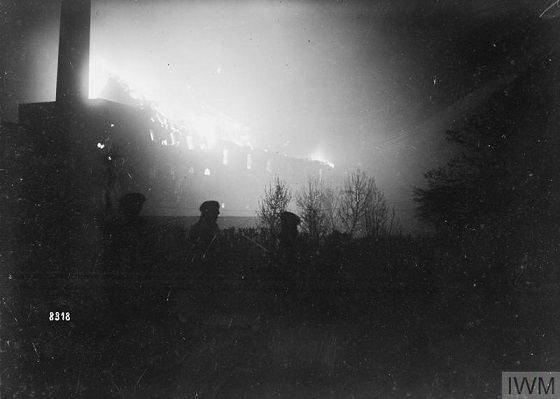 Estaires in flames at night. Estaires fell on 11 April after fierce street fighting with the 5th Battalion, Durham Light Infantry and 6th Battalion, Northumberland Fusiliers of the British 50th Division. Photo courtesy IWM. Photo title: Battle of the Lys. 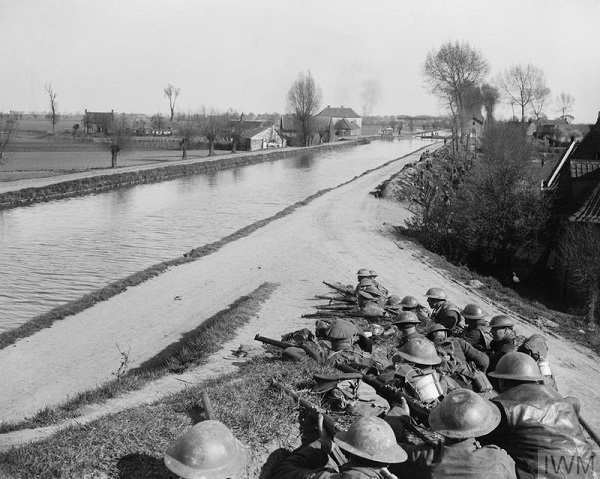 British infantry holding a line of a canal near the village of Merville 12 April 1918. (It is highly probable that these are 50th Division infantry). 26 May: Orders were received to take all necessary precautions for an enemy gas attack. 27 May: 1 am. A heavy enemy bombardment commenced, which included a large percentage of gas shells. The Sections were warned and took shelter in their gas proof dug outs. It is believed that owing to the absence of orders, Lt Pottle MC was instructed by the O.C. to reconnoitre and ascertain the nature of the situation forward of the Coy billets, but owing to the O.C. Major Baldwin MC and Lt Pottle MC becoming casualties, this cannot be confirmed. It then appears Lt Pottle MC, reported that he enemy were close at hand. 7.45 am; Orders were issued by O.C for the Coy to parade immediately in fighting order, this was in the act of being carried out when the Company was surprised by the enemy, and it appears from evidence that the Sections were overwhelmed and taken prisoners together with all documents and effects of Company office. Immediately following orders for this I. A. parade, the O.C Major Baldwin DCM was found seriously wounded by shrapnel near Company H.Q. and succumbed to his wound whilst being attended to. Following this, Lt Pottle MC was shot in the arm whilst engaging the enemy at close range with 2nd Lt King. Lt Pottle was evacuated by field ambulance. 9.30 am: 2nd Lt King and a few remaining men retired and joined No 2 Section at Beaurieux at 9.30 am. All communication during the above operation appears to have ceased as no orders for the Coy were received from the time of the communique of the bombardment. Beaurieux 27 May 1918: No 2 Section on detachment, were clearing roads of all debris during the above bombardment and at about 10 am retired across the river Aisne with the infantry and there met C.R.E. Adjutant and took up battle position left of Maizy remaining there till about 12 pm. Meanwhile sending out patrols on either flank to keep touch. Patrols reported they could not find any troops on either flank. 2nd Lt Rebbeck decided to retire to receive further orders and get in touch with other units, and met C.R.Es adjutant who instructed him to join Coy transport moving to St Gilles. Communication was then established by cycling orderlies with C.R.E. and the Company transport was near at Baslieux and then moved to St Gilles. Here no billeting accomodation could be obtained, and the Coy joined Divisional RE Transport and moved to Cohan Camp. 28 May: 4.30 am: Orders were received for the Company to march to Savigny. Company moved off at 6. am via Lagery Lhery and faverolles where all transport was found moving back from the line. Orders were received to move back to Villers Argon and billet for the night. 29 May: Company moved back to Chatillon sur Marne where verbal orders were received from C.R.E to detail parties to standby in readiness to demolish 2 bridges, one bridge being near Montigny over Le Camp river, and a suspension bridge over River Marne at Pont a Binson. These two bridges was reconnoitred by C.R.E. Capt Smith 447 Field Coy and 2nd Lt Rebbeck & the Coy was ordered to standby and prepare bridge for demolition when ordered. At 4 pm verbal orders by C.R.E were received cancelling this demolition & the Coy was ordered to move to Troissey to collect pontoons from C.E. IX Corps and to assist in constructing pontoon bridge on the River Marne at Troissy. Pontoons from various field Coys were collected and bridging site was shown to 2nd Lt Rebbeck by C.R.E. At 9.30 pm C.R.E. issued verbal orders cancelling this bridging & ordered all pontoons to return to their Companies. The Company bivouacked at Troissy for the night. 30 May: Company marched to Igny under orders to join Company Transport who had proceeded to Igny the previous day. On arrival at Igny the Company received orders to march with the Division to Corribart and moved off from Igny at 2.40 pm & bivouacked at Corribert for the night. This Company (under Major McClellan, M.C.) charged with the demolition of 16 bridges over the River Aisne, gallantly succeeded in destroying 14 of these bridges incurring severe casualties both before and during the work. Theses bridges had all been previously reconnoitered and the necessary charges (French explosives) stored at hand. The fine work of small demolition parties was recognised by the subsequent reward of seven French Croix de Guerre to survivors who signally distinguished themselves. A record of the 7th Company would be incomplete without such reference to the deeds of its sister companies in the 50th Division, with whom, during three years of war. Ties of mutual regard had been formed. The experience of the neighbouring British and French divisions on the disastrous 27th May were similar. During the succeeding days their remnants retreated steadily, fighting rearguard actions when possible. As the passages, in succession, of the River Vesle, River Ourcq and the River Marne became involved. It was decided not to commit the remnants of the engineers to further infantry action, as their services in connection with possible bridge destruction or construction were considered to be of greater relative importance. Consequently the remains of the 7th Company retired on the 28th May through Cohan, 29th Villers -Argon- Troissy, 30th Igny, 31st Corrobert. During this retirement the Company stood by to prepare for demolition of bridges over the River Camp near Montigny and the suspension bridge over the river Marne at Port-a-Binson (immediately south of Chatillon) but these demolitions were not ordered. It also stood by with the remainder of the divisional engineers to construct a pontoon bridge across the river Marne Troissy, which was not, however, eventually required. On the 28th certain French reserves had came up and by the 30th, the Division was withdrawn from the fight. A single composite infantry brigade was then formed and arrangements made for the the divisional engineers to act as a composite field company if required. The Company remained from the 1st to the 9th June at Aulineux, from the 10th to 17th at Mondement (the scene of heavy fighting in the battle of the Marne 1914), and from the 17th June to 1st July at L’ Hermite. After a short period of action in conjunction with the French and Italian divisions on the outskirts of the wooded Montagne-de-Rheims, the 50th Division Composite Brigade was finally withdrawn on the 1st July for entire re-establishment and refitting. The Division having for the third time in ten weeks (21st March to 30 May) been reduced to less than one third of its fighting strength. The known 7th Company casualties on the 27th May amounted to: 4 officers and 89 other ranks. No record of the relative numbers killed, wounded or missing is available. The following awards were received early in May: Military Cross- Lt H.G. Pottle.Military Medal- A./Serjt J. Bates, A/Cpl S.C. Kelly, A/Lcpl T. Black, Spr W. Atkinson, Spr W. Black. During the previous six weeks the 50th Division had carried out two retirements in the face of greatly superior numbers. On each occasion it had fought a series of delaying actions, which had reduced its infantry strength to that of a single brigade or less, the other combatant arms being almost equally reduced. In company with the three British divisions (8th, 21st, 25th), which had undergone a similar experience, it was now dispatched south to what was then considered to be a quiet part of the front-- The Chemin des Dames sector, north of the Aisne - where it formed part of the British IX Corps acting under French Command. The Division was again brought up to full strength. The last but one great German attack took place on this sector and to the east of it on the 27th May when the Division again suffered great losses and experienced a third period of retreat. In this fighting the 7th Company was to lose nearly 70 percent of its strength, in killed, wounded and missing. Detraining at Fere-en-Tardenois on the 27 April the Company marched to Coulognes (6 mile) about 20 miles south-east of Soissons, where a week was spent refitting,etc. On the 5th May it marched to Muscourt (16 mile) and on the 6th to Centre des Poitiers (6 mile), immediately north of the River Aisne between Craonelle and Pontavert, taking over the work and dugouts of the 11/63 French Engineer Company. The new sector included the eastern (Croanne plateau) end of the famous Chemin des Dames position and about 1.½ miles of low-lying front bordering on the plateau. It was much wooded in rear of the front or outpost system and, owing to its length, could only be lightly held. The French Division relieved on this sector spoke of it as ‘’une ligne complete’’, owing to the extensive nature of the trench systems and strong points- all strongly wired on a system of machine gun defence with deep dugouts for all troops in occupation as well as for machine gun detachments, headquarters and reserves together with good subsidiary works. But the readjustments required the wooded nature of the country to be defended, and the entire absence of any efficient gas-proofing of dugouts left plenty of work to be done. The rapid gasproofing of all dugouts was considered to be of first importance. The 7th Company was employed on gas-proofing the whole divisional sector as well as constructing ‘’pillboxes’’for machine-guns. No 2 Section was employed on construction of a rifle range in the neighbourhood of Div.H.Q. At Beaurieux. 1-4 May 1918: At rest. The Company did Infantry training. Received lectures from O.C. and Section Officers. 5 May: 6.30 am the Company marched to Muscourt via St Gilles, Fismes and Basweux. The O.C. with advance party of Capt Slattery and N.C.O.s proceeded by motor lorry to Centre De Poitiers between Craonelle & Pontavert and took over work and billets from the 1163 French Engineer Company. This taking over was completed on the 7th May. 7 May: 7.30pm The Company marched to new billets at Centre De Poitiers. 8 May: The O.C. & Section officers & N.C.O.s reconnoitred works taken over from French Engineer Company and works were allotted to respective Sections. 9-26 May: No 1 Section work on wiring and reclaiming trenches and putting into state of defence Ligne de Reduit. A deep dug out was commenced for M.G Emplacement has now completed. 22-26 May: No 2 Section working on the construction of a new Rifle Range Beaurieux, working under C.R.E. 9-26 May No 3 Section were working and constructing machine gun emplacements, work on Pill Boxes, wiring trenches at Centre Hoche and Ligne De Soutien, improving sand bags and putting Ligne De Reduit in state of defence, Gas proofing all dug outs of 149 Brigade H.Q at P.C. Calvaire and all dug outs to A,B,C and D Batteries of 250 and 251 Brigades R.F.A. 9-26 May: No 4 Section work on improvement and construction of new fire bay on Ligne De Soutien. No 4 Section moved into new billets forward, and gas proofing all dug outs in 149 Brigade area under149 Brigade Gas Officer. On 26th No 4 Section moved back to Coy HQ, Centre De Poitiers during the training. Third Battle of the Aisne. 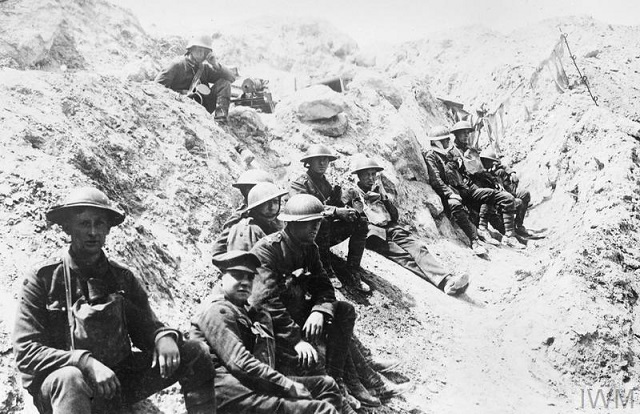 British prisoners resting in a flattened trench while being guarded by a German soldier. Near Berry-au-Bac, May 1918. Berry-au-Bac was near to the 149th Brigade's sector. It is likely that captured troops of the 149th Brigade were taken to this same place. The German artillery had become markedly active from about the 23rd May, registering on batteries, etc. On the afternoon of the 26th information was received at Div.H.Q. of a probable enemy attack in force on the following day. This information having been obtained from a prisoner captured on a raid. The Company received a warning order, together with instructions regarding the occupation of its battle position (a strong point in the reserve line close to the Company’s dugouts at Centre de Poitiers, some 2.½ miles behind the front line) in the event of the enemy penetrating the front system. This position was reconnoitered on the 26th. At 1.am on the 27 May a heavy bombardment opened, with a high proportion of gas shell, the gas being particularly thick at Div.H.Q., in the artillery positions and in the woods about the reserve line and the Company dugouts. Telephone communication was quickly interrupted. The first cyclist messenger, dispatched to order the Company to proceed to its battle position, arrived too late to be of use, owing to his being gassed and to the enemy’s rapid advance through the woods to the east of the Croanne plateau. The Division was holding a wide frontage. The enemy’s concentrated gas bombardment from 1.am to 5.am had the effect of generally imobilizing the troops holding the line. Despite strenuous resistance, the enemy succeeded in turning the Croanne position and penetrating deeply through the wooded country at an early hour. Heavy fighting and casualties. - The O.C. 7th Company (Major Baldwin, D.C.M.) dispatched an officer Lt Pottle, M.C. to reconnoitre and find out the state of affairs and, on his report, proceeded under heavy shell fire to form up the three sections at the Centre de Poitiers with a view to occupying the pre arranged battle position. Whilst doing so Major Baldwin was killed by shrapnel. The enemy was then found to be advancing through the woods. Confused fighting followed, prior to which Lt Pottle M.C.was wounded whilst engaging the enemy at close quarters, and evacuated. C.S.M Parker, D.C.M. and many others were killed and the sections overwhelmed. Had they been able to reach their battle position they would undoubtedly have proved more effective in holding up the enemy. Amongst those wounded and captured were - A./Capt F.J. Slattery, Lieut H.F.Sharp R.E. No 2 Section at Beaurieux under Lt Rebbeck, M.C. received instructions to retire with the infantry remnants to a position south of the River Aisne at Maisy. This section formed the major part of the Company at the end of the day’s fighting. On the same day the 447th Company (under Major Rainsford-Hannay D.S.O.) was also overwhelmed on the Croanne plateau, after losing heavily from the shell fire concentrated on his commanding position. Owing to the German advance round the eastern side of the plateau, the Company was cut off. Above; Trench map copy taken from The 50th Division's war diary, showing Centre de Poitiers. Above: Centre de Poitiers more prominent on this French copy, kindly supplied with the assistance of the museum, Caverne-du-dragon, located on the Chemin des Dames near to the above site. Chris Ellis and George Cowie visited the site of ''Centre de Poitiers'' in September 2014. It is preserved by a tranquil rural wooded area. The bombardment was accompanied by a gas attack, designed to disable defensive gun crews, after which 17 divisions of German infantry, under Crown Prince Wilhem, began their advance through a 40 km gap in the Allied line. With the Allied forces entirely taken by surprise, the rapid progress of the German troops was reminiscent of the more fluid war of movement of the opening months of the war. Between Soissons and Reims the Germans broke through a further eight Allied divisions, four British, four French, reaching the Aisne in under six hours. By the end of the first day the Germans had gained 15 km of territory and had reached the River Vesle. By 30 May the Germans had managed to capture 50,000 Allied soldiers and 800 guns, arriving within 90 km of Paris by 3 June. Once again a German victory seemed probable. However, as before, problems with supplies and reserves, and troop fatigue, in addition to prolonged Allied counter-attacks, halted the German advance at the Marne. By 6 June the German advance had run out of steam. 1 June 1918: The Compay was stationed in billets at Aulnizeox and remained there until June 9th, during which time men were being rested and provision made for re-equipping. 2 June: 11 am. C.R.E. conference of O.C Field Companies where instructions were given regarding the formation of a composite Field Company from the 3 dominant Field Coys RE, to be ready to move into the line if ordered. by these arrangements 3 sections with their transport, also portion of HQ transport of 446 N Field Coy RE, and 1 section with transport, and remaining HQ transport to bring the Composite Coy to establishment from 7 Field Coy RE, were to form up as a complete Field Coy RE. For purpose of work this body was named "A" Echelon and will be referred to as such in the following paragraphs. This arrangement necessitated preparations being made for the remaining Divisional RE Transport, not included in the above, and consisting of portions of 446 Northumberland Field Coy, 7 Field Coy and whole transport of 447 Northumberland Field Coy to form a seperate body, this body to be known as "B" Echelon and to be under the command of Capt Duith of 447 Northumberland Field Coy RE. Arrangements were discussed and it was decided that each respective Field Company in the Division were to remain seperate and intact until such time as orders were received for the 50th Divisional Field Company RE to move into the line, when the Coys would automatically combine and form up into their respective "A" & "B" Echelons. 3-5 june: Company paraded or Physical Training & Drill. vehicles were cleaned. Painting of the same. 7-8 June: Company paraded for Physical Training, drill. Cleaning and painting of Company vehicles continued. 10-11 June: Company paraded for Physical Training & Drill. Cleaning and painting of Company vehicles continued. 12 June: 10 am: Inspected by G.O.C. 50 Division of 50th Divisional Field Coy RE at Mondement. 13-15 June: Company paraded for Physical Training, Section Drill & field works. 17 June: 9 am: Company moved into new area Les Essarts and new billets in the village of L'Ermite. 18 June: Company paraded for inspection of feet and general fatiques for accommodation of new billets. 20 June: 10 am: Inspection by C.R.E. of 50th Divisional Composite Field Coy RE. owing to postponement on previous day. 21-22 June: Company paraded for Physical Training, Section drill. Lectures were given on Trestle Bridges and Demolitions. 24 June: 4 pm: "A" Echelon 50th Divisional Composite Field Coy RE paraded for inspection by G.O.C 50th Division on L'Ermite - La Nove Road but inspection was postponed the last moment. 25 June: Introduction to Sappers in Field Geometery. 26 June: 9 am: Transport of "A" Echelon of 50th Divisional Composite Field Coy RE under 2nd Lt M.King new area. Jan Villers, preparatory to moving in to line. 27 June: Company paraded for drill and gas drill, inspection of respirators. Transport of "A" Echelon of 50th Divisional Composite Field Coy under 2nd Lt M.H. King received orders to return from Janvillers to Company HQ at L'Ermite. 28-29 June: Preparatory training and introduction in Field Works. 1 July: 9.am: Company marched from L'Ermite to staging area St Loup arriving 1.30 pm and bivouaced for the night. 2 July: 7.am: Company moved from St Loup to Connantray arriving at 12.pm and bivouaced for the night. 3 July: 3.30.am: Company moved from Connantray to Sommesous arriving at 4.45.am sustained at Sommesous at 8.18 am, arrived at Hangest at 10.am 4th July 1918. 7 July: 6.am: Company marched from L'Arbre A'Mouche to new billets at Merelessart arriving at 9.am. 21 July: Dismounted personnel re-equipping and training. Mounted personnel and transport moved by road Merelessart to Gamaches. 22 July: Dismounted personnel moved by bus Merelessart to Martin Eglise. Mounted personnel and transport Gamaches to Bailey. 23 July: Dismounted personnel training and work in Camp. Mounted Section moved Bailey to Martin Eglise. 24-31 July: Training and working on 50th Division Camp. Pontooning started 27th & continued each day. Training consisting of close order drill, musketry entended order. Lewis gun instruction, demolition practice, map reading, field geometry, knots and lashings and bridging with pontoon and service trestles. with six officers and 78 other ranks. 10 August -16 September: At Martin-Eglise. At the beginning of this period the weather was glorious beyond words, but in September we had a good deal of rain. The division is being formed into brigades and the new battalions from the East are being put into training. It is impossible for us to move until the doctors have, to some extent at least, combated the malaria at present, fifty per cent of their strength go sick after every wet day. I bought some bathing drawers at the canteen and, three or four times a week, I took the drivers over to Les Puits. We climbed a spur of the hills, along a shady lane, then out on to the open downs beyond which, sparkling far and wide, lay the sea. We dropped steeply into a narrow valley in a crack between two towering chalk cliffs, and left the horses tied in a shady orchard, deep in cool, tall grass. Les Puits was a typical little Norman seaside place, but very small. On the front itself was a huge building with damp, peeling walls, which had begun life as a big hotel, but was now a hostel for Belgian refugees. There were a very few civilians about. We walked down the beach and undressed under the cliffs. A good many of the fellows could swim but very few did so well, excepting old Corporal Rennie who can do anything. We were about the only unit in the division who came regularly, I think. The idea was mine. The sappers only came once, when McGill was away and I was acting O.C. I enjoyed these drives and bathes tremendously. At first all the men used to want to come, (all bathing was voluntary) but the novelty wore off after a bit. I have received a letter from the Chief Engineer of a Corps offering me the job of his staff officer. Of course this would be priceless experience for my career, as it is a very valuable asset to have been a staff officer in wartime. But sentiment and affection for my comrades overcame interest, and I wrote back refusing, saying that I would sooner go up the line again with the boys. I am afraid that this will be a blow to Dad, both because he will be thinking of my future advancement, and because he would have preferred me to be at a Corps Headquarters, almost completely out of danger. At Martin-Eglise, we did a number of divisional training operations. On one occasion, a skeleton force of the three field companies, acting as infantry, held a position which was attacked by the rest of the division. I was O.C. at the time, as McGill was on leave. When riding round with the C.R.E. and the officers commanding the other two companies, my new horse, Monchy, put his foot in a hole and turned a rare somersault. In June 1918 Captain J Glubb MC RE, was in London nearing the end of his convalescence from an injury sustained in August 1917 whilst serving in the Company. We pick up his Diary again from this point. His diary is in black text. I bombarded the authorities with requests for medical boards and for postings to France. At last, in June 1918, I persuaded a medical board to pass me fit to return to the front. I immediately wrote to the Adjutant General's branch at the War Office, begging them to send me to France. On 11 July, 1918, I was given command of a draft and sailed from Southampton to Le Havre and Rouen. 11 - 14 July 1918: Dad had arranged for me to be posted back to the 7th Field Company, but I spent an anxious restless week at Rouen, waiting for the orders to come through. The base depot was a very unpleasant place. The permanent base staff was most unsympathetic and aloof, if not down­ right rude to officer reinforcements passing through. We were all treated like children, only allowed into the town once a week and so on. Rouen has in places some very ancient houses, built of old oak, with overhanging upper storeys. Such old houses can rarely be seen in England and never in such numbers. But they are mostly on very dirty little back streets, and look squalid and dilapidated. The cathedral is beautiful. The public gardens on the road to the race course, where the base depot is, are fine by reason of the large number of magnificent old trees. Rouen is, of course, crowded with British troops. At last my orders arrived, and I set off, being told that the 50th Division was, of all places, at Dieppe, on the Channel coast. I have seen a good many Americans in passing through Southampton and Le Havre, where the quays are swarming with them. Everyone is full of rumours of the number of thousands of them which are supposed to be landing every day. It is an extraordinary contrast to compare their men with ours. America, an enormous nation, just beginning to create an army, only accepts young men of about twenty­ four to thirty, and of the very best physique. She has no shortage of man-power. The result is that they are an extra­ ordinarily even-looking lot, an effect which is greatly increased by their all having their hair clipped short, and being clean shaven. To me they all look the same. To these compare the British Army, any unit of which at this time contained men of ages from eighteen or less (officially nineteen) up to fifty. Little children, pale and only half-developed, who had lied about their ages when they enlisted, mingle with stooping grey headed old men. Between these two extremes, there is a mixture of old hands, with medals and two or three wound-stripes on their arms, veterans now of four years of war and yet it is this unpromising-looking army, which is this year excelling itself, after passing through one of the most fiery ordeals which any army ever endure?. We appear to be now returning once more to the offensive . While I have been waiting at Rouen, we received news that the French and the British have counter attacked from Saissons to Chlateau-Thierry. We had expected the Yanks to be very cocky and to announce that they had come over to show us how to win the war. (My impression that all Yankees were 'smart' and aggressive had perhaps been derived from an overdose of O. Henry!) In fact, the one or two American officers I met and spoke to at the base, were extremely modest, pleasant and polite. Of course the French have suffered an even greater per­centage of losses than we have. Nearly all their men have been fighting since 1914. They fought splendidly in 1915. In February 1916, they went through the vale at Verdun. On the Somme, they were still in great fighting form and often left us behind. But since then their glory has been waning. In the winter of 1916-17, their morale fell greatly and with it their discipline. Absence without leave was frequent. The men ceased to salute their officers. In April 1917, their great attack in Champagne, timed to coincide with our Battle of Arras, ended in fiasco. Throughout the remainder of 1917, they were quiet , though their discipline is said to have been pulled together a little by Petain. The Boche offensives in the spring of 1918 practically finished them, though they did not bear the brunt of them as we did nevertheless, it must be remembered that, for over two years, France bore by far the hardest burden, that her losses have been colossal, and that a large part of her country is entirely desolated. We must pay tribute to the many great generals she has produced and the very many gallant men who defended cette vieille France, with all the ardour of the Crusaders. But there is no doubt that now the French are inferior to us in discipline. No British army, on the whole, has ever been so well disciplined as ours is, after four years of war. I at last left the base depot camp at 8.15 a.m on 23 July, in a pour of rain. It took two hours in a civilian train from Rouen to Dieppe, where I arrived about lunch-time, with only two francs in my pocket, which I spent in buying some food. The Railway Transport Officer told me that the division was at Martin-Eglise, an outlying village, so I set out to walk. I got a lift in a passing mess cart, till I met Driver Thomas on the road, with Frenchman and Blondin. He was very surprised to see me; later I met Driver King with a pair of mules in a limber, and he took me to the horse lines. On the way I met Rebbeck, Sergeant Church and Corporal Orchard, all extremely surprised to see me back. I looked around the horse lines. The horses were looking very poor, much more so than I had ever seen them before. Many of the drivers are gone, including Cullen, White, Pearcey, Enderby, Ayliffe, Palmer, Vane, Armstrong, Milne and Houston: Seeing the drivers and horses again was like a very happy homecoming to me. The shattered remnants of the 50th Division had been moved down to Champagne, a quiet sector, to recuperate. But the Boche then switched his attack to Champagne, and the 50th Division again received the full force of the enemy offensive, and was almost exterminated. A great part of the division had been cut off and surrounded, and was either destroyed or taken prisoner. I met, with very great pleasure, what few sappers of the old company had survived the battles of the spring, and I think they also were glad to see me. O'Connell and Matthews were both sergeants. Kelly, Cutts, Clear and Folkard had survived, and a few others from No 2 Section. All the rest had been exterminated, together with all the officers, except Rebbeck. 24 July: The 50th Division, together with the three other divisions who were entrapped at Reims at the end of May, are out here re-forming. All the old division is broken up and completely new infantry battalions have arrived. Last spring, for want of men, all infantry brigades in France were reduced from four battalions to three. The same has just been done in the Near East. All the odd fourth battalions from the Mediterranean are being brought back to France and used to reconstruct the three divisions which had been destroyed at Reims. There are no longer any Northumberland or Durham battalions with us. All the men from the Near East are suffering from malaria, and go sick every wet day. They have to parade several times a day to take a dose of quinine. There is scarcely a soul I know anywhere. Instead of coming back to old friends, I am asked by these people when I joined their division. Only Hearn the Vet is still at Divisional Head­ quarters. No one on the brigade staffs has pulled through. I forgot to mention that Rimbod is still with the company, and has been given the French Medaille Militaire and the British Military Medal. After the disastrous battle at Reims, the head of the French military mission at divisional head ­quarters had asked McQueen if he could recommend Rimbod for a medal, on the grounds that all the other interpreters had been recommended, so it would be bad luck if he were not. McQueen, who was always . conscientious, had replied that, as Rimbod never went near the front line, he could not, of course, recommend him for gallantry. However, he was a nice fellow and had done a very good job at buying food for us in the back areas. On the strength of which he had received the above two medals. 1-16 September 1918: in Camp at Martin Eglise, Dieppe; Company employed on training and improvement of the camps in the neighbourhood. Pontooning was carried out both by day and night. Huts and horse standings were constructed. 16 September: On the 16th the Company entrained and proceeded to 3 Army Area, detraining at Bouquemaison and marching to billets in Brevillers. 17-25 September: At Brevillers- Training and refitting. 26 September: Moved from Brevillers to Esbart Farm near Agincourt. Transport by road. Dismounted personnel by bus. 27 September: Dismounted personnel at Esbart. Transport moved by road to Fricourt. 28 September: Dismounted personnel by bus to Nurlu. Transport moved by road to Nurlu. 29-30 September: At Nurlu standing by. 16 September -26 September: At last we are off. A great and glorious surprise. With all this malaria in the division, I had not thought that we should go up the line again this year. We left Arques-la-Bataille by train, via Doullens to Bouquemaison, and thence marched to Brevillers. I have been commanding the company for a month, but the O.C. 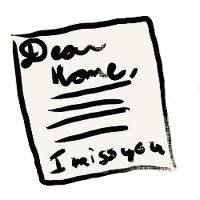 returned from leave on 18 September. On 26 September, the mounted section and myself started at 07.00 hours, and marched with the brigade transport to Contay, a very long march. The sappers went by lorry. Let us hope that we shall not march again tomorrow. 27September: Orders for the mounted section to march at 09.30 hours were received at 08.30. Route Warloy­ Henencourt - Millencourt - Albert. Warloy was a little damaged by shell-fire, Henencourt more so, Millencourt completely flat, and nothing whatever is left of Albert. The Virgin has fallen, the church has almost vanished. The Cafe du Jeu de Paume is no more. This occurred during the Boche advance in March 1918, when Albert came once more under fire, though the Germans did not actually take it. 28September: At 5.30 a.m. received orders to start at a quarter to seven. Great haste and commotion. We were on the road ready to march off punctually all the same, but then had to stand for a whole hour at two hundred yards distance from our camp! Moved off finally and crossed the whole desolate wilderness of the Somme battlefields by Fricourt - Mametz - Montauban - Guillemont - Combles - Sailly Saillisal-Manancourt-Nurlu. Arrived at 6 p.m, after eleven hours on the march. From Albert onwards, the country presented the most frightful picture of desolation. Nowhere was there a living soul to be seen. Great bare hills ploughed into a wilderness of shell-holes, a fine, grey misty rain, not a house - not even a tree between Fricourt and Manancourt, a distance of some fifteen miles. 29September: The dismounted portion of the company is near Moislans. Standing by all day with the horses ready, waiting for orders to march. Eventually night came, with still no instructions. Slept on the ground with no covering. Rain. Sent the men's blankets up to the company, but the driver lost his way. At eleven pm, I went myself pitch dark and raining. Got back to bivouac at 1.30 am, and tried to sleep in the rain and the wind. 30September -1 October: Still in Nurlu, standing by for orders to march. Nothing doing. On 1 October, succeeded in getting hold of four tents from the Town Major. By Capt H.A. Baker MC. The refitting and training of the 50th Division took place near Dieppe, the 7th Company being quartered from 23 july to 16 September at Martin-Eglise where it was brought up to strength, carried out extensive training and worked on divisional camps (hutting, water supply, etc). The training included certain engineer tactical schemes for field companies and the pioneer battalion carried out under the C.R.E, (A.Lieut Colonel P.Hall, M.C., appointed 30 July vice Major J.A.McQueen, D.S.O., M.C. Invalided). On the 2nd July A./Major J. McGill M.C. on appointment as O.C. Several former NCOs and men rejoined on recovery of wounds and sickness. On the 23rd July, Lt J.B. Glubb, M.C. rejoined on recovery from his severe wound of the previous August. Lieuts T.D.Barratt, W.M. Winstanley, 2nd-Lieut H.G. 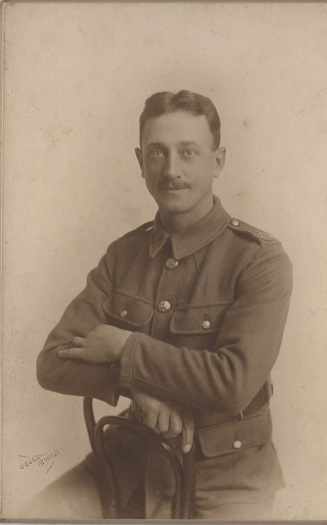 Stewart joined on the 8th August, 2nd Lieut Seels on the 17th August. On the 16th September the Company proceeded with the reconstituted Division to the 3rd Army area, detraining at Bouquemaison and marching to billets at Brevillers near Agincourt and thence on the 27th to Esbart and on the 29th Epehy. From the 1st October it took part in the advance of the British Armies. 1-6 October 1918: Company in dug-outs in front of Epehy. Reconnaissance of St Quentin Canal in Vendhuile with a view to bridging. Stores for same purpose collected in Epehy. On Oct 5th, infantry attacked. Company cooperating constructed two footbridges over canal and one pontoon bridge. 6-10 October: Company moved up to De La L'eau. Vendhuile-MacQuin Court-Le- Catelet road repaired. Bridge for all traffic constructed in Le Catelet over L'Escaut. On Oct 10th Company moved to neighbourhood of Clary. 11 October: Standing by at Clary. 12-14 October: Company marched to Le Trou au Soldat. Reconnaisance of forward area carried out. 14-19 October: Bridge for Horse transport constructed west of St Benin, and watering point at same place. Pontoon bridge put in across River Selle in front of St Benin. 19-23 October: whole Company clearing roadway blocked by demolition of railway viaduct, 1/4 mile N.W. of St Benin. On 23rd Company moved up to Mill. 1/2 mile due west of St Benin church. 24-27 October: Assisting 25th Division to clear road from Le Cateau - Basuel, where blocked 1/4 mile west of Basuel by demolition of railway. 28-31 October: Company resting in Mill, west of St Benin. Company suffered very heavy casualties this month commencing about Oct 15th from "spanish" Influenze. About 50 men went sick to an isolation hospital, about 30 of there being drivers. For a fortnight, the horses and waggons were almost all driven by dismounted men. 2 October: Started at last. The major having gone up the line to loqk round and take over, I lead the company up to Epehy. We are back up, the line here, in the middle of the guns. Marching up with the company, saw a pretty little exhibition. A Boche machine dived unexpectedly from the blue on to one of our kite-balloons. We could just hear the rat-tat-tat of his machine gun. The observers were out in their parachutes before you could say 'knife', and a second later the balloon burst into flames. The Boche then flattened out and flew at the next balloon; out popped .the two parachutists from it also, and the balloon burst into flames. A very neat little performance. Having arrived at Epehy with the whole company, we were then told that the mounted portion should have been left behind, and they were sent back to Saulcourt. I followed them later and reached their camp at 9.30 pm. Vendhuille. Here the enemy is holding one side of the canal and we the other. .We are expecting to attack soon, and immediately this is done, the company is to erect a bridge over the canal at Vendhuille. For this purpose, we have been reconnoitring the place where the bridge is to be. This is not easy to do as the Boche is on the far bank of the canal. I went up to Vendhuille at night and had a good look at the whole place. Things were fairly quiet. We were quite busy on this job. We were first to fix some light footbridges in front of the infantry, when they assaulted across the canal. There was some excitement over the construction of these floating footbridges, which were made alternatively of cork, petrol cans or other improvised materials. Number 283 Army Troops Company R. E. were near us at Saulcourt, with one of the new Inglis bridges, packed on motor transport. Eventually, after the assault bndges, we put in our pontoon equipment on a deviation leaving the main road gap clear for 283 Company; subsequently to erect their heavy Inglis bridge . 6 October: The division attacked today and took Putney, Le Catelet, Gouy, and La Pannerie. 5-7 October: _working all day carrying up bridging material for the bridge at Vendhuille. We put in a pontoon bridge at Vendhmlle and Seels, with No 2 Section, put a bndge across at Le Catelet, to take up to six-inch guns. The Boche are now holding the Beaurevoir - Masnieres line. The company is at Dela l'Eau. 8 October: We attacked again today and took Aubencheul ­ au-Bois, Villers-Oureaux and Guisancourt. The enemy is now expected to withdraw to the Valenciennes line. The army on our left, however, report heavy fighting still going on at Cambrai. Pontoon and trestle bridges erected at Vendhuille were dismantled today, heavy bridges having been erected. The pontoons have been loaded up to follow the infantry. They will be required in a day or two to cross the river at Le Cateau. . The division is advancing north east approximately up the straight road from Estrees to Maretz, Reumont, and south­ east of Le Cateau. We hope thus to turn the flank of the enemy, who are still resisting at Le Cateau. I carried out a reconnaissance of the roads just behind our advancing infantry beyond the Masnieres-Beaurevoir line. As I was returning at dusk, I could see the villages on fire miles away ahead towards Maretz and Busigny. We did not know at the time the exact result of our attack, but I wrote in my report to the C.R.E. that the enemy seemed to be retiring right away, burning the villages. 9 October: We attacked again today and took Maretz, Clary, Bertry, Maurois, Honnechy, Reumont, Troisvilles. The Boche seems to be very shaken. He seems to have been only delaying us from the 6 to 9 October. Once the Hindenburg Line went on 6 October, he probably decided to move back to his next position. On 9 October, he melted away and by the morning of 10 October was back holding a line St Souplet - St Benin, south of Le Cateau. The general line of attack and advance of the 50th Division was from Epehy (15 mile south-west of Bapaume), through Le Catelet (on St Quentin canal), St Benin (on the River Selle 2 mile south of le Cateau), Landrecies (on Sambre canal), Marvilles(on river de Tarsy) to Semousies (3 mile north of Avesnes and 8 mile south of Maubeuge)- a total distance of 50 miles. This line of advance crossed at right angles the St Quintin and Sambre Canal systems and their numerous feeders running from south to north. The Germans in their retreat destroyed many bridges and railway viaducts over roads, in addition to making large road craters, thus rendering pursuit difficult and throwing an immense strain on the British engineers, on whose capacity to restore communications depended in great measure the success of the operations. The forcing of the passage of the St Quentin Canal in the neighbourhood of Vendhuille was the first task confronting the Division and was successfully carried out on the 5th October. From the 1st to the 5th October the Company was in dugouts east of Epehy. Reconnaissances of the canal were carried out and bridging stores collected in Epehy. During the attack on the 5th the Company constructed two footbridges and one medium pontoon bridge over the canal, with the loss of two sappers wounded. On the 6th the Company moved to Vendhuille and between the 6th and 10th repaired the Vendhuille- Le Catelet road and constructed a bridge to carry all natures of traffic over the River l’ Escau in Le Catelet. On the 10th the Company marched to Clary (10 mile) and on the 12th to Le Trou-au- Soldat, carrying out reconnaissances of the forward area on the 13th with view to passage of the River Selle, and constructed a bridge for horse transport west of St Benin on the 14th. On the 17th a general attack by the XIII Corps took place, the 50th Division forcing the passage of the River Selle about St Benin. 20 infantry footbridges were erected over the River Selle, all field companies being employed on their construction. On the 18th the Company constructed a pontoon bridge west of St Benin, and on the 19th was employed on clearing the St Benin - Le Cateau road, where blocked by the demolition of a large railway viaduct. The 50th Division was relieved this day by the 25th Division till the 30th, during which period its field companies continued to assist the 25th Division in clearing roads east from Le Cateau, the 7th Company clearing the block caused by the demolition of the railway viaduct a quarter of a mile north-west of Bazuel. 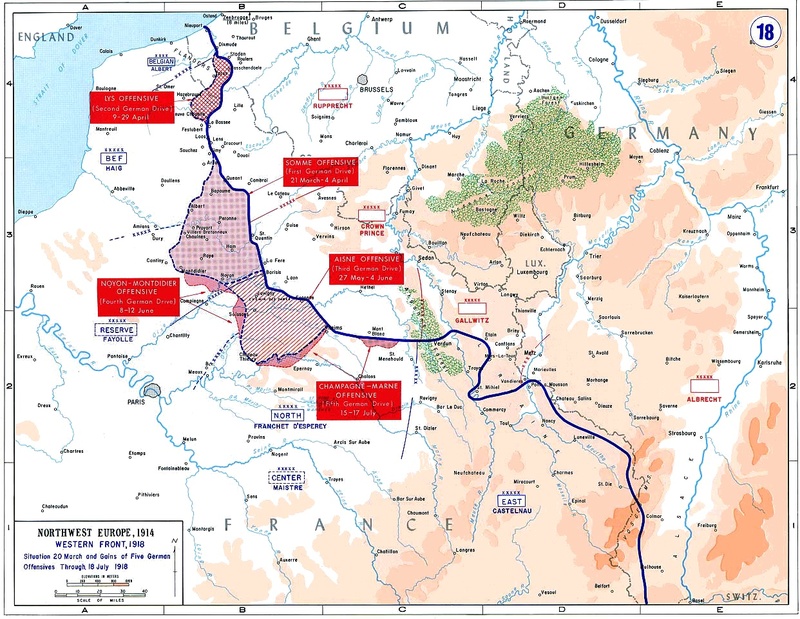 The 1st to the 4th November was spent in making preparations for the forcing of the Sambre Canal, the Company preparing Le fayt farm for occupation as Brigade H.Q., taping out assembly positions and cutting gaps in the hedges for the 149th Brigade immediately east of Fontaine-au-Bois, repairing and reconnoitering roads etc. On 2nd November No 2 Section moved to Bousies to work with the 50th Division artillery and prepared tracks to enable the guns to advance. The German resistance was now weakening considerably. On the 4th November the Coy moved from Benin to Fontaine (6 mile), on the 5th repaired the Fontaine - Landrecies road, and on the 6th moved from Fontaine to Hatchette (5 mile) on the southern edge of Foret de Mormal and constructed a length of Corduroy road with POW labour and a service trestle bridge of three bays over the River Grand-Helpe at Noyelles, to which latter place Company HQ moved (4 mile). On the 7th work was carried out on communications generally and mines searched for indicated by mines. The Company moved on the 8th from Noyelles to Monceau (4 mile), and on the 9th to Dompierre (4 mile) to form part of a mobile column under the G.O.C 150th Brigade. On the 10th it moved from near Dompierre to Semousies (5 mile), and with three companies of infantry cleared blocks on the Maubeuge - Avesnes and other roads. Work on a bridge over the River de Tarsy was commenced on this day. Battle casualties during the operations 1st October to the 11 November were two sappers killed on the 27 October and two wounded. A severe outbreak of Spanish influenza in the latter half of October caused large sickness casualties, especially amongst the Mounted Section. Of 50 admissions to an isolated hospital 30 were drivers and for a fortnight the horses and wagons were almost entirely driven by dismounted men. The epidemic hampered operations considerably and increased the heavy strain on the short handed engineer companies engaged on numerous works of tactical importance. Lieut Rebbeck, M.C. died of influenza on the 4th November. Drivers, L. Light, P. Arnold, and sapper W.F.Bett also died of Influenza during the early days of the same month. 11 October: Our billets at Clary were too comfortable to last. The Chief Engineer, V Corps, came round and told us we were in his area . We seem to have lost our division! 12 October: Marched out of Clary via Maretz to Le Trou aux Soldats. A good billet here too. It is very delightful and comfortable being In undestroyed country. The mounted section is in an old German bakery. All the horses are under cover. The Boche is holding a line through St Benin and St Souplet, two villages on a ridge. On our left, the 66th Division is in Le Cateau. We have relieved the 25th Division in front of St Benin and St Souplet. The 2nd American Army Corps is on our right, supported by the artillery of the Anzac Corps, the infantry of which is out resting. Our front line is in the bottom of the valley of the River Selle, overlooked by the enemy on the St Benin - St Souplet ridge. An operation for the crossing of the River Selle is being planned. We are making up light infantry foot bndges, which the sappers are to run out in front of the assaulting infantry and throw down over the stream. 13-20 October: During this period, the wagons were employed on the road Le Trou aux Soldats through Busigny ad Honnechy. In front of the Honnechy cross-roads was in view of the enemy and could only be used at night. One of Pearcey's horses was wounded here one night. It was hit in the face. I asked the vet to try and save it-it was a beautiful chestnut -but it had to be shot in the end. I went up several times by day on foot to recce, and we selected a partially damaged farm near St Benin, which the company was to move up to directly after the attack. As Field Service Regulations state, 'time spent on recon­naissance is seldom wasted'. We are on something like open warfare here, with almost undamaged country and no trenches. The front line is merely a chain of little posts, dug in under hedges, at road corners etc. On one occasion, I took some wagons up at night to the farm in front of St Benin, carrying timber and materials which would be required on the morning of the attack. It was rather rash, as the wagons were only a few hundred yards from the Boche front line, and they felt very conspicuous then the Very lights went up. But we got away with it all right. There is an old German engineer dump just south­ east of Honnechy, from which we take stores. The Boche likes to shell the Honnechy-Reumont area a bit. re-christened 'the look-ons', as they were called at the Siege of Sebastopol. The Australian gunners are covering the Yankees. Two Anzac officers I knew came in to see us. They say the Yanks are the slowest thing out. I have noticed the same myself. Most of them seem to be slow and simple country bumpkins, not at all what we expected. We imagined they would be too smart and clever for words. The Anzacs live on the fat of the land, pinching the Yankees' equipment and rations. They told us the story of an American driver, who left his wagon and pair in the street while he went into a house. An Australian immediately mounted and drove them off and neither wagon nor horses were ever seen again. The Yankee could not figure it out at all, and was left scratching his head in the street. successfully, being very inexperienced. While we were at Vendhuille, they did an operation on our right, in the course of which they penetrated quite a distance, but made no arrangements for mopping up or for consolidation. As a result, they were cut off by a Boche counter-attack, and large numbers of them were taken prisoners. 'Booby traps' are now the order of the day. The Boche have mined many. of the houses and dugouts they left behind, so that our people move in comfortably, and then the place suddenly blows up. As a result, people are now rather suspicious of too comfortable a billet, until they have been passed by the sappers, who write up in chalk, 'Passed by such-and-such a company R.E. 'A delightful job, feeling around a deep German dugout to see if it is going to blow up. A delay-action mine has blown up the railway near Busigny. (a)Tunnelling into the side of a road embankment and blowing a great breach in it. (b) Dropping an overhead bridge onto a road passing underneath it. This not only cuts the railway, but also blocks the road with hundreds of tons of twisted steel girders, very difficult to remove quickly. We front­ line engineers have no equipment to do this kind of thing. We can only make earth diversions, or build wooden trestles or pontoon bridges . (c) Mining the crossroads in the middle of a village. Either the crater has to be filled, or deviations made by knocking down the houses. Either job takes time and being at a crossroads, the obstacle creates a maximum of delay. 23 October: The crossing of the River Selle and the capture of the St Benin - St Souplet line having been successfully accomplished, we moved forward and occupied the farm outside St Benin. We followed the infantry on, in order to clear the roads through Basuel, where a heavy railway girder bridge had been blown down on the road. On one occasion, I rode up at night to the Basuel area and rode Peter, a chestnut horse who had been in the company since before the war. Cantering back in the dark over the open ground between Basuel and St Benin, he suddenly fell head first into a large shell-hole. We turned a complete somersault and I foolishly let go the reins. Before I could get up, Peter scrambled to his feet and galloped off into the dark. Not only did we lose a very good old horse, but also he had on all my gear, saddle, white head rope, corps breast­ plate and brass rosettes! I went into Le Cateau once or twice. It was not very much damaged. In a large house at the south end of the town, the Kaiser is supposed to have stayed in March 1918, when he came over to watch the great Boche offensive against the British on the Somme. We were shelled once or twice in our farm at St Benin, as the enemy has not gone very far. On one occasion, something about the size of a 4.5-inch shell pitched against the back wall of the house, while we were having dinner, and made the deuce of a bang . We stood to our horses, but no more came. We built two bridges across the River Selle near St Benin. Standard bridges are now all the fashion. They are all ready made up at Corps or Army dumps, of steel joists which only require bolting up. 6 November: Coy moved from Fontaine to Hachette. Started work on Cadway road with P of W labour at diversion to bridge at B27 central Sh 57a. Built service Trestle bridge over R Grande Nelpi at Noyelles C25.d.2.7. 7 November: Coy moved from Hachette to Noyelles. Bridged gap at C25.d.2.8, improved approaches to bridge at C.25.2.7. Searching for mines at 3 points as showed by civilians, erecting notice boards. 8 November: Coy less 1 section moved from Noyelles to Monceau. Putting wooden bin and clearing road blocked by demolished bridge. 9 November: Coy less 1 Section moved from Monceau to Sars Poteries to form part of a mobile column under command G.O.C. 150 Inf Bde. 18 November: Do. Sent party for demolitions of salavage to 149 Inf Bde. 19 November: Wooden bin culvert E13.c.7.0 completed. 19-30 November: Training, educational work and improving billets. (a)To tape out a jumping-off line in front of our present front line posts, to enable our attacking troops to form up on a straight line before advancing against the enemy. The jumping-off line will be marked with a continuous white tracing tape. Most of our work has, of course, to be done at night, the actual taping of the jumping-off line may be quite tricky. But the thickness of the hedges gives us quite a lot of cover. (b) To cut paths through the hedges, gardens, and other obstacles of which the village of Fontaine-au-Bois consists. The troops will be guided to the rear end of these paths, and follow them up, in order that all the assault troops may reach their deploying positions before Z hour, without noise or confusion. (c) All these cleared paths leading forward are to be notice boarded with small boards painted in luminou s paint, giving the names of the battalions and an arrow indicating the route. The tanks will also move up just before dawn. We are part of XIII Corps, of which the 25th Division is on our right, we, the 50th Division, in the centre and the 18th Division on our left. The 50th Division is to attack with the 149th Infantry Brigade on the right and 150th on left . The 151st Brigade will be in reserve. We, the 7th Field Company, are to accompany 149th Brigade, and are responsible for getting them correctly deployed on their jumping-off line before Z hour. The infantry have been given three objectives, marked with coloured lines on their maps. We are to follow behind them clearing obstacles and re-opening the roads to allow horsed transport to come up behind us. When the second objective is taken, the 151st Infantry Brigade will pass through 149th and 150th, and will continue the advance. We are also told to detail one section of sappers to join the artillery at Z hour, and to assist them to get their guns forward quickly across country. For this purpose, Seels has with him some standard light artillery bridges loaded on a wagon, to get the field-guns over ditches and streams. He also has pack horses to move, his gear across the fields with the gunners, and one of our trestle wagons. Our brigade will attack with the 3rd Royal Fusiliers on the right and the Scottish Horse on the left. The 2nd Royal Dublin Fusiliers will be in reserve. When the jumping-off line is taped, small notice boards will be laid on the ground saying, for example, Right of Scottish Horse, Left of 3rd Royal Fusiliers. We do not yet know when Z day will be, but we expect it in two or three days. Meanwhile there is an immense amount of work to be done. We have to make and paint a great many little notice boards, with the initials of the regiments and an arrow painted on each, to be used to mark the tracks leading up to the front line. I have ordered all hand axes, hand saws and billhooks to be sharpened. Then I have to meet the infantry battalion commanders, and inform them of details of all the signs, tapes and arrows we intend to use. We also had a little advanced practice in cutting through hedges in the dark on the night of 1 November at our farm billet at St Benin. On 2 November, we went up to- Fontaine-au-Bois and cut through some of the hedges at ground level, but without removing the brush­ wood. Z day was first fixed for 3 November but has now been postponed to 4 November. 4 November: I was in Fontaine-au-Bois before dawn on Z day. Taping out the jumping-off line was quite exciting, as we were working in front of our own front line. There was a certain amount of desultory shooting, but the country was so thick with trees and hedges, that the Boche did not realize what was going on. Our infantry got deployed without any confusion. A certain amount of shelling came over into the village of Fontaine, and the infantry were held up for some time by machine-gun fire. But once the Boche front line was taken, resistance ceased and so did the shelling. Their gunners were doubtless only too busy trying to get their guns away before our infantry arrived. By 11.30 am. we had taken our second objective and were advancing with very little opposition anywhere. The enemy has melted away before us like snow. Perhaps he will not stop till he gets back to Germany. As soon as the infantry had gone forward, roads were our chief immediate concern. Indeed so rapid have been our recent advances, that they will probably soon be our only concern. Railways are already left far behind, and after each advance so many of the roads had been demolished or blocked as almost completely to prevent our following up the enemy. On the afternoon of Z day, 4 November, I carried out a long mounted reconnaissance through the Foret de Mormal. There were already no signs of troops anywhere, so rapid had been our advance, and very few casualties about. At a crossroads, there was a shell-hole in the middle of the road and a young German soldier lying on the edge of it. His helmet had rolled off, his face was snow white and a stream of blood flowed from the top of his head. He looked so young and innocent, scarcely over sixteen I should think. I am afraid the Boche army is in much the same state as ours, all children or old men. The sapper's this afternoon worked on clearing the roads through Fontaine-au-Bois. The enemy has vanished without sign or news. 'Oh it's a lovely war. Form fours! Right turn! to the skin and very cold. I was just thinking of something to eat, when an order came to reconnoitre and repair a destroyed bridge over a river at Noyelles. I rode off at once myself to have a look at it. It was a brick arch bridge over a small stream, but it was completely demolished. Still pouring with rain. We overtook our leading infantry here, but they have completely lost touch with the enemy . Our own cavalry might have been useful here, but there do not seem to be any of them around, now they are wanted. Our infantry were just moving up into Noyelles, the leading files climbing down and across the debris of the ruined bridge in single file. They were, of course, all. like drowned rats, with their waterproof sheets hangmg shining over their shoulders. Two Frenchmen were standing on the far side of the stream, helping our fellows to scramble up. Our boys were laughing, and all of them thanked the Frenchmen for giving them a hand. I heard one of the Frenchmen say to the other, 'Mon Dieu, mon ami, quelle difference apres les Boches!' These are the first civilian inhabitants whom we have found behind the Boche lines. Back to Hachette after dark. Done to the world, soaking wet with a horrible backache. This moving warfare is very interesting but a bit strenuous. 6 November: Back to Noyelles with some sappers and the pontoon wagons. Completed a bridge during the day. We put a trestle bridge on a deviation, so as to leave the main road gap for the erection of a heavy bndge. Right: Map of 7 Company's works area in December 1917 to January 1918. Spr Weaver was taken prisoner on the 27th May 1918 on the front line at Craonnelle when the 50th Division was overrun by the enemy. He died in captivity in Germany 1.9.1918 of Spanish flu that was pandemic at the time.